Basic Needs | Ultra Water Solutions & Services Pvt. 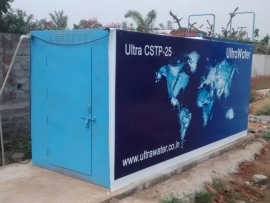 Ltd.
UltraWater is an environmental engineering company providing solutions for wastewater treatment and recycling. We provide the most comprehensive, cost-effective and reliable solutions and services. These products and services are designed to keep our customers profitable. Our mission is to attain market leadership in each of our business areas by creating customer delight through Value, Innovation and Service. Our CSTP (COMPACT SEWAGE TREATMENT PLANT) requires less civil works, aesthetic, portable and proven. Treated sewage can be reused for toilet flush, gardening, cooling tower make up and ground water recharge with suitable post treatment.